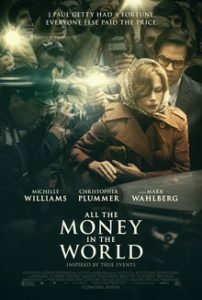 All The Money In The World is about the abduction of a 16-year-old John Paul Getty III (Charlie Plummer), and his grandfather (Christopher Plummer) refusing to pay a single penny despite all the efforts of his mom Gail (Michelle Williams). While the story is decent, the execution and the story telling is not up to the mark. You don’t really hate the film but it doesn’t have enough in it to keep you entertained. Christopher Plummer delivers a great performance. Charlie Plummer & Michelle Williams are fine. Mark Wahlberg is good.